Ministry of Foreign Affairs of Ukraine demands from Russia to grant permission for examination of the Ukrainian prisoner illegally detained in Russia Pavlo Gryb by specialists of the Ukrainian Health Ministry. Foreign Ministry’s spokeswoman Mariana Betsa wrote this in Twitter. "Today, consul visited Pavlo Gryb. Considering the condition of his health, we repeatedly demand from the Russian Federation to grant permission for his examination by specialists of the Ministry of Health of Ukraine," she noted. 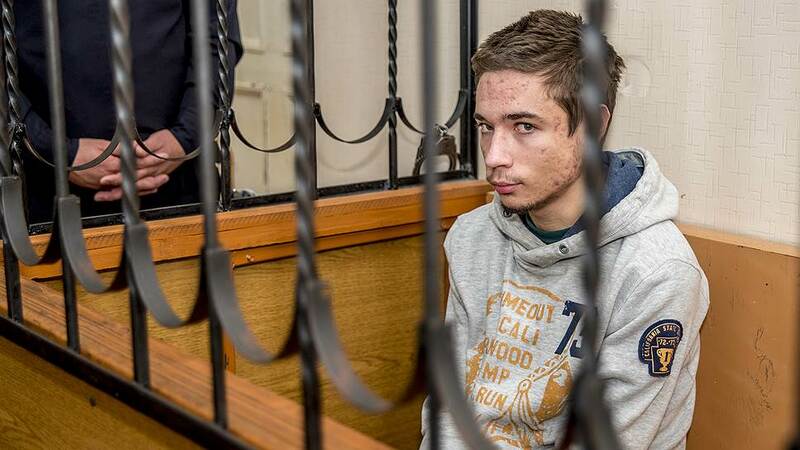 As it was reported earlier 19-years old citizen of Ukraine Pavlo Gryb who disappeared in Gomel, Belarus on August 24 was found in Krasnodar prison, Russia. His father, the officer of the Border Guard Service of Ukraine Igor Gryb published in Facebook that his son 19-years old Pavlo Gryb got lost in Belarus on August 24. His son went to Gomel to meet a girl with whom he got acquainted and communicated in the social networks. He supposed that 'the Russian FSB lured out Pavlo to Gomel under the pretence of the meeting with a girl and then detained him'. Krasnodar District Court of Russia extended detention for Ukrainian Pavlo Gryb until January 4, 2018. Father of Pavlo Gryb said that his son looks unwell and needs medical help. Pavlo Gryb’s body is covered in ulcers, which are the sign of his medical condition getting worse without the proper medication.